The Uttar Pradesh BJP will soon be appointing about 100 women as 'teen talaq pramukhs' across the state to ensure rehabilitation of the victims and their children, a party leader said Sunday. 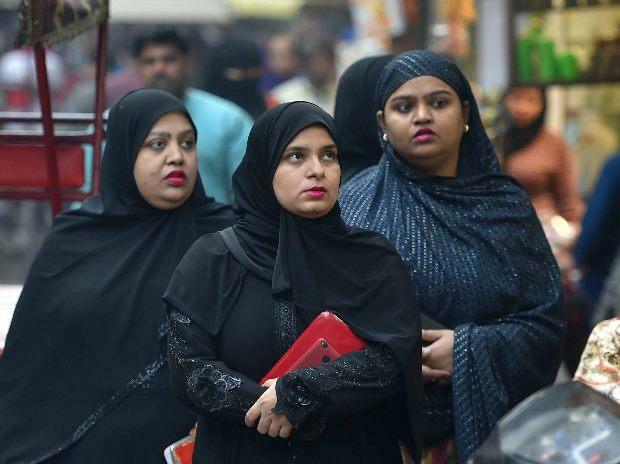 Nazia Alam, secretary of UP Bharatiya Janata Party's (BJP) minority wing, who will be the overall in-charge, said triple talaq pramukhs will be appointed for each of the 93 'organisational districts' and six regional units of the saffron party in the state. "Educated women who have sound knowledge of Shariat and law and who can bring a social change in the lives of the victims of triple talaq will be appointed as pramukhs," Alam told PTI. "Each of the 93 organisational districts and six regional units will have a triple talaq pramukh and some of the victims are already working with us to eradicate this social evil," she added. "We will carry out a survey, by the end of December, to know the exact number of victims of triple talaq in every district. Our work is likely to begin after Deepawali," she said. "We will also seek information from the victims as to what do they actually need, be it education and health-related needs for their children or employment-related things for themselves," she said. Nazia further said that the minority wing of the BJP will also launch awareness campaigns to dispel the wrong notions surrounding the holy Quran and Shariat.